Studio City Dental Group provides a truly comprehensive range of denture treatment options to repair your smile. With dentures from our North Hollywood dental office, you can enjoy a restored and functional smile. Contact us today for your teeth replacement consultation! With a team of general dentists and specialists on-staff, Studio Dental Group is well equipped to provide full and partial dentures to patients with missing teeth. These removable prosthetics are among the most popular treatment options for tooth loss, as they are affordable and non-invasive. Full dentures are made to resemble natural dental enamel and soft tissue. They are secured daily with denture adhesive and taken out each night to clean/soak. Our team ensures your dentures fit comfortably. If any adjustments need to be made, our dental lab is on-site for quick service. Partial dentures are metal-framed or plastic retainer-like restorations that contain prosthetic teeth. When put in place, the teeth attached to the appliance fill in the gaps caused by tooth loss. 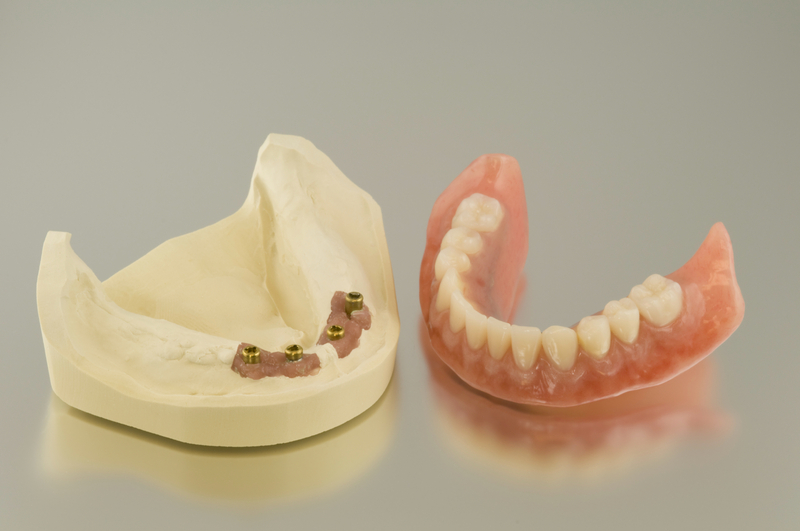 Partials can be made from a variety of materials to create comfort and natural aesthetics. In contrast to a dental bridge, partials do not require that our dentists alter your healthy teeth before restoration can be provided. Ask our team how we can help you smile with the appearance of full teeth through full and partial denture services. Over-Dentures – These combine the benefits of removable dentures with the stability of implants. Your full arch of teeth is made to snap onto and off of special implant attachments. This creates dependable function throughout the day and easy cleaning. Hybrid Denture – Permanent, natural-looking teeth replacement is possible with this treatment. Hybrid dentures are screwed onto a full arch of implant posts and are not removable by the patient. They are second only to your natural teeth in terms of daily use, comfort, and function. We want you to smile with confidence. We provide fixed dentures with implants to support lasting the aesthetic and durability of your restored smile. Our team can place and restore your implants in-house – no outside referrals necessary. Our Studio City denture services include quick and efficient denture repair. 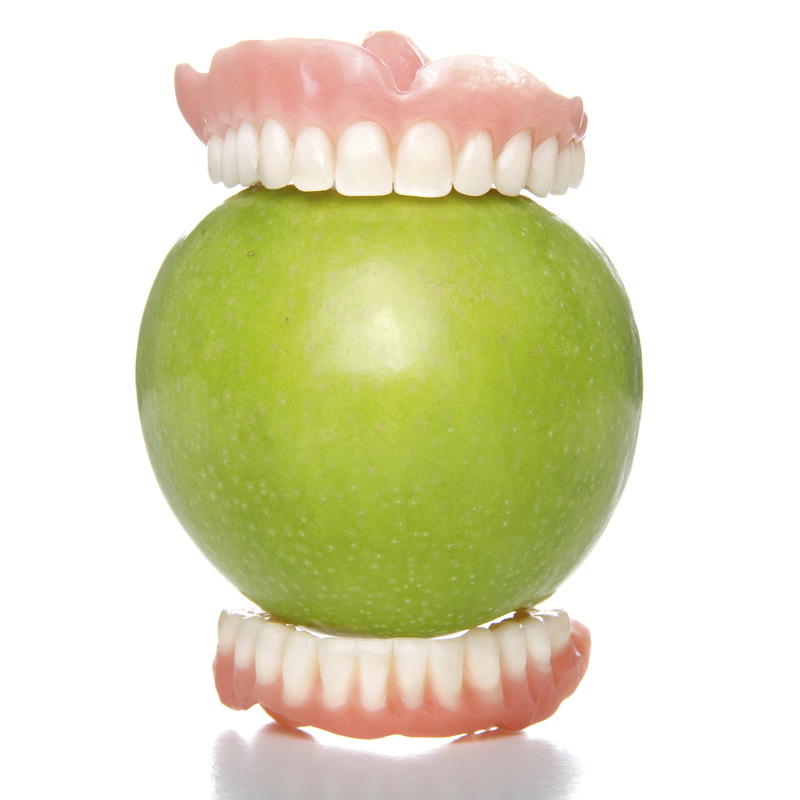 If your dentures need to be realigned or improved, we can help. Our attached dental laboratory fabricates restorations in-house. We can even convert your current denture to fit on dental implants. We make the repair, replacement, and realignment of your dentures easy! Studio City Dental Group is proud to offer the benefits of comprehensive denture care from dental specialists and laboratory technicians. Ask our North Hollywood denture specialists about fixed and removable teeth replacement options!